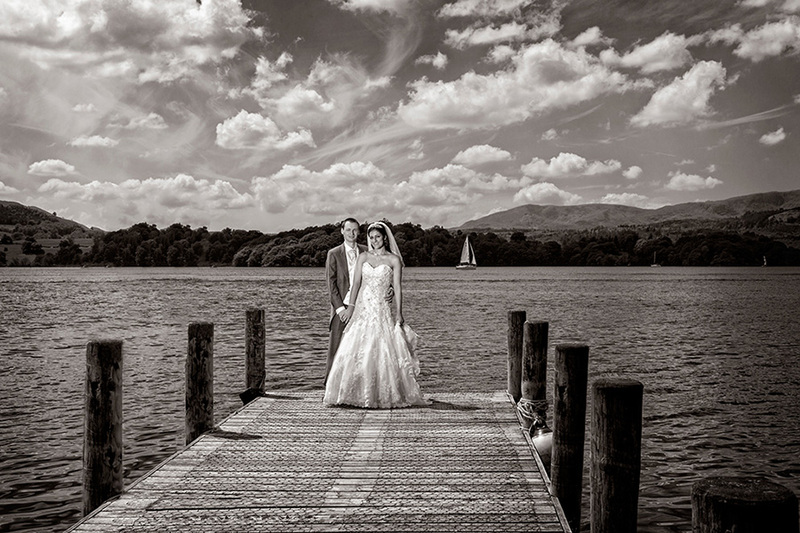 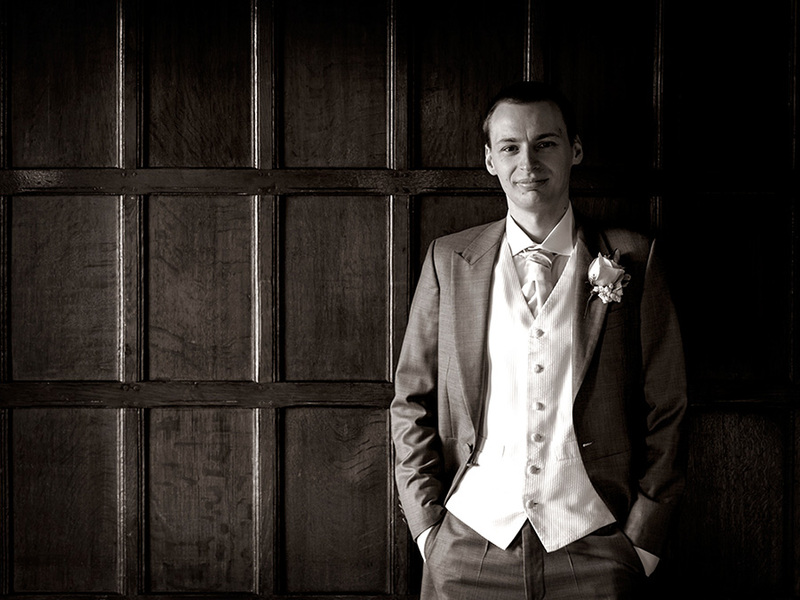 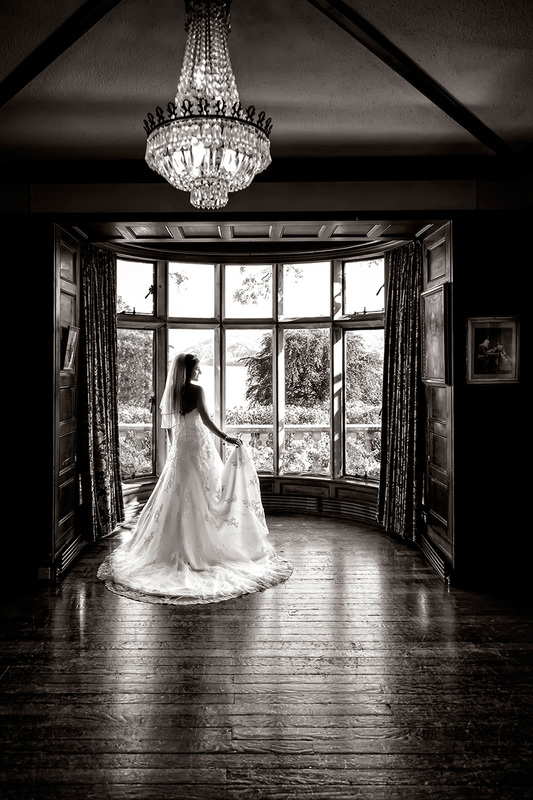 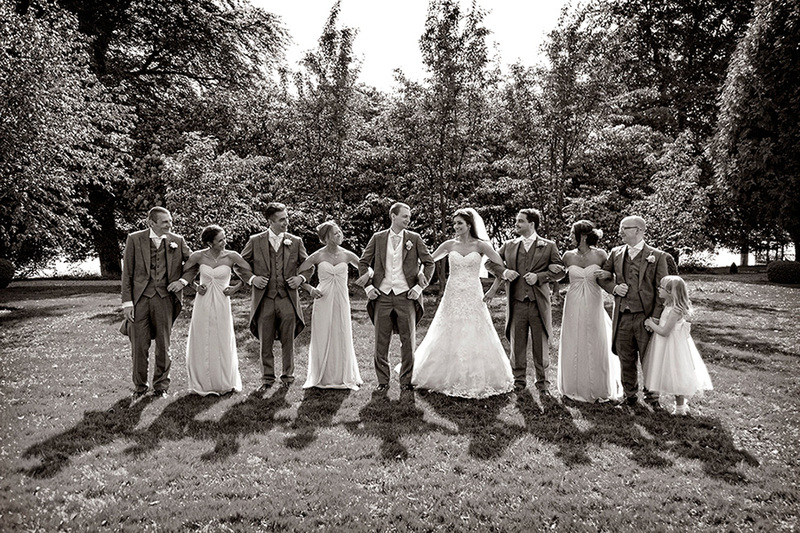 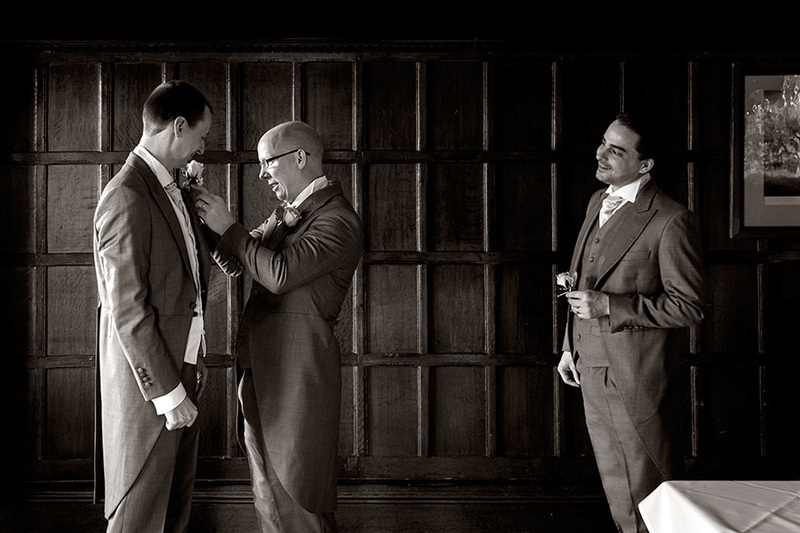 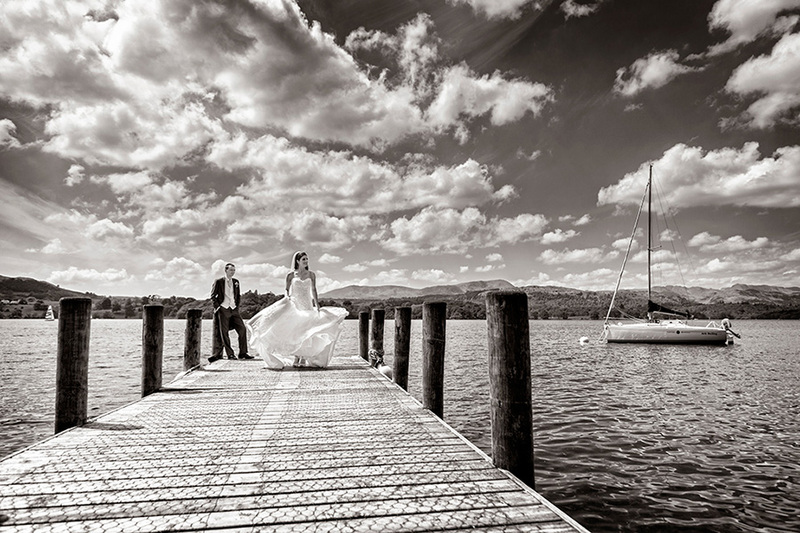 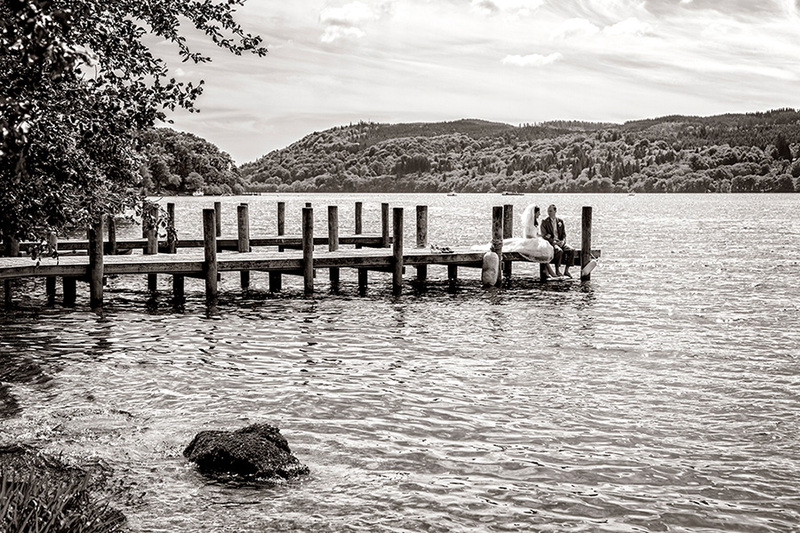 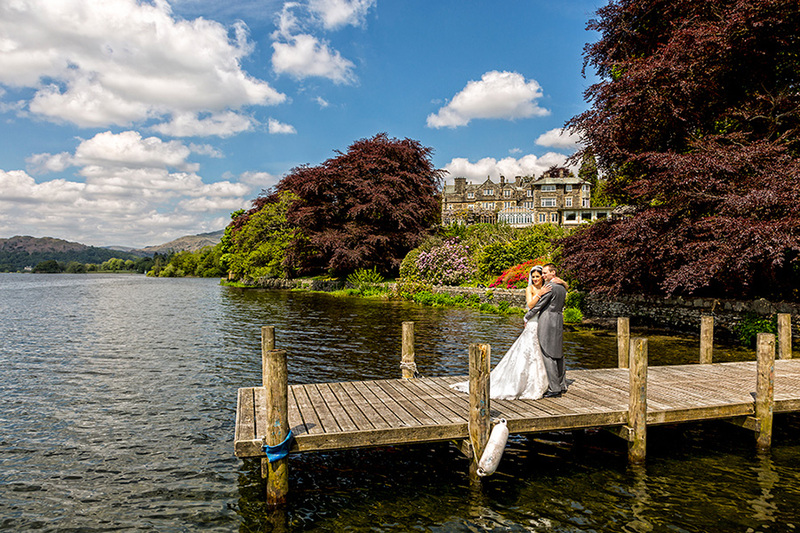 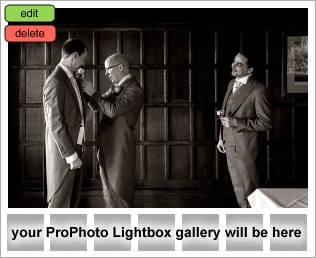 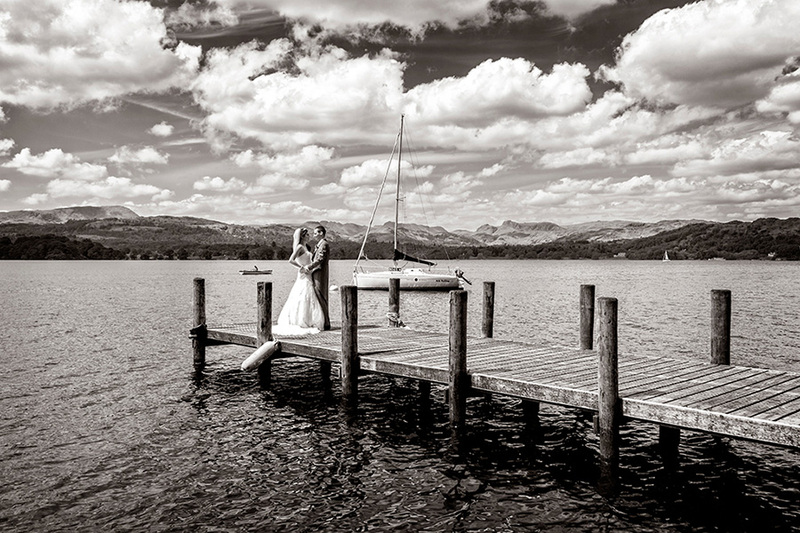 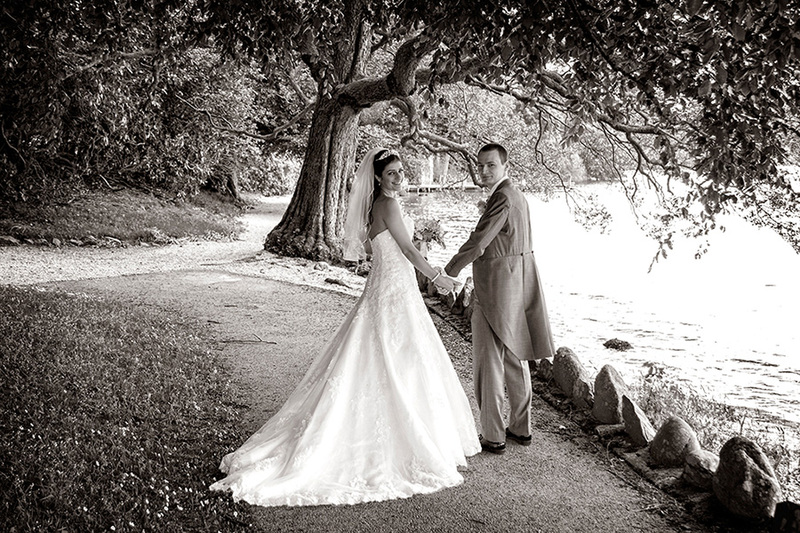 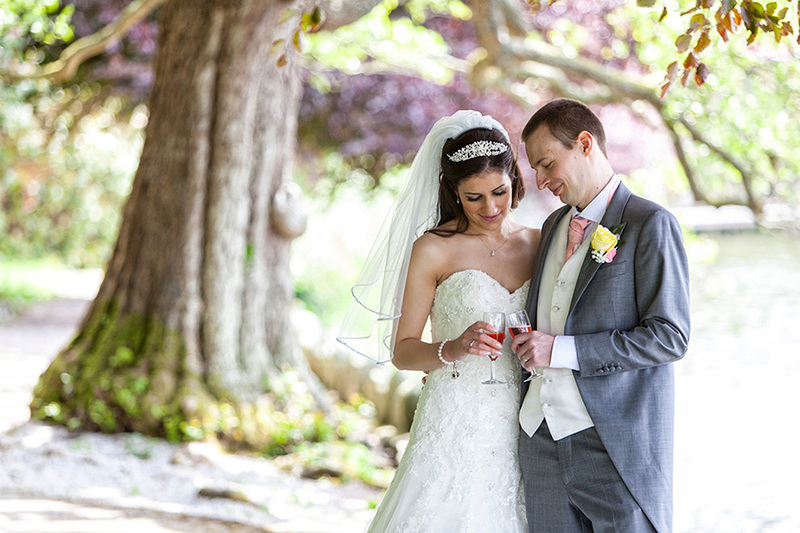 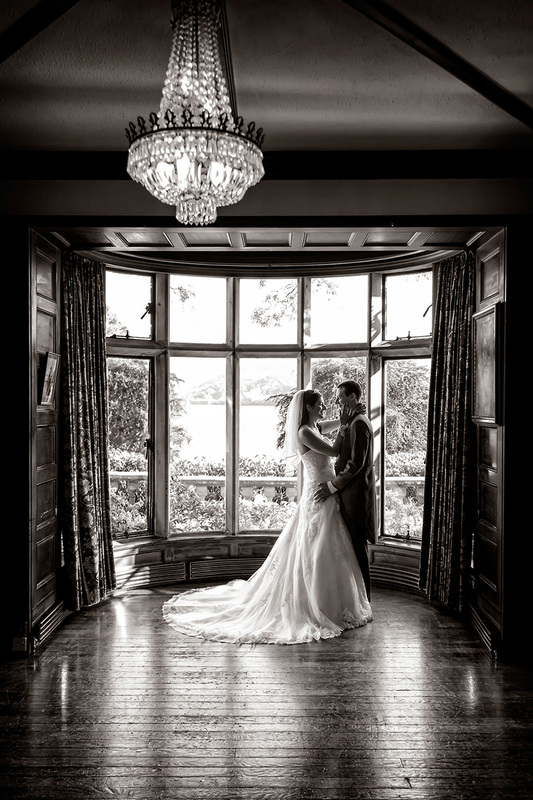 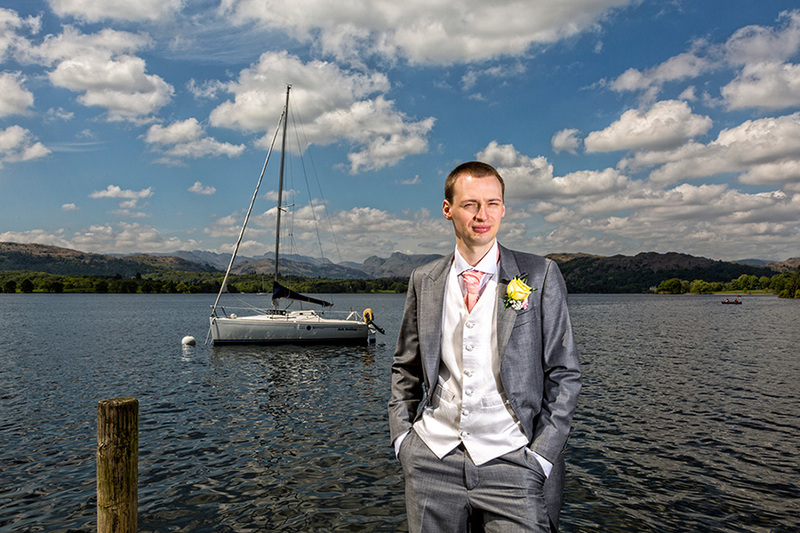 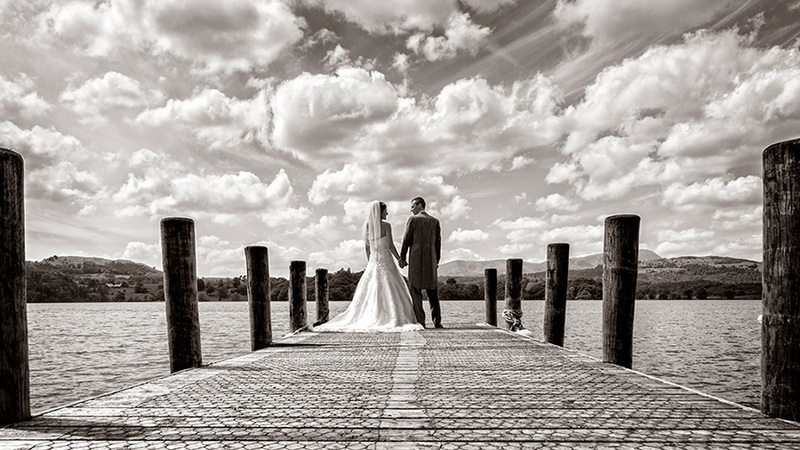 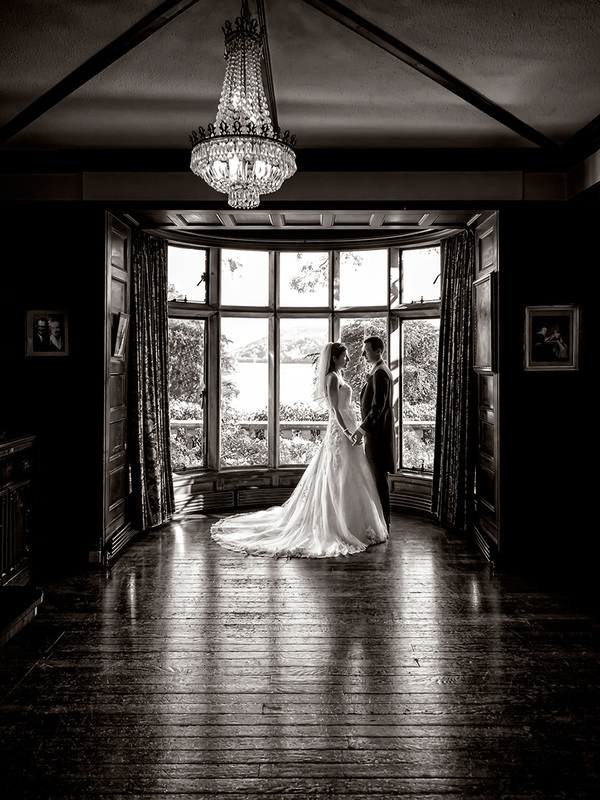 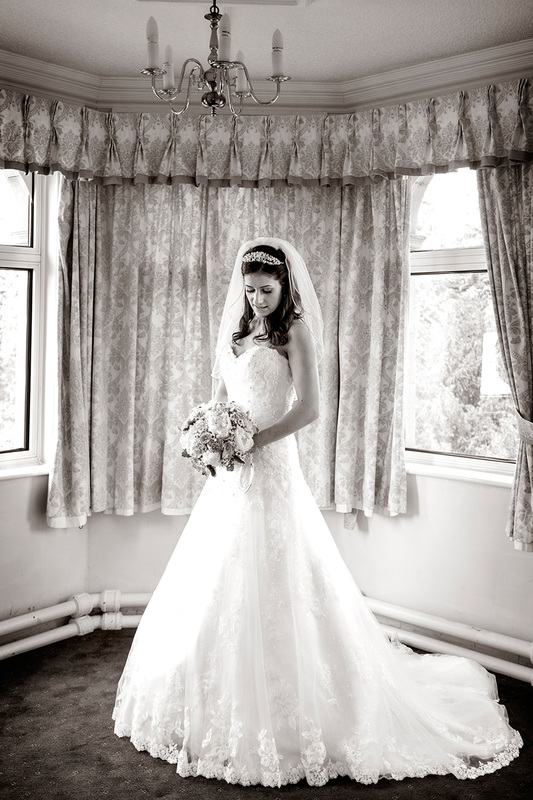 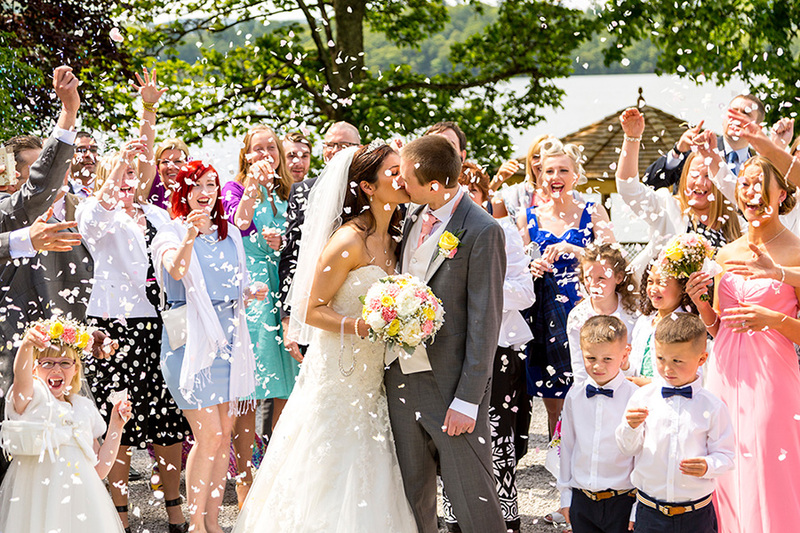 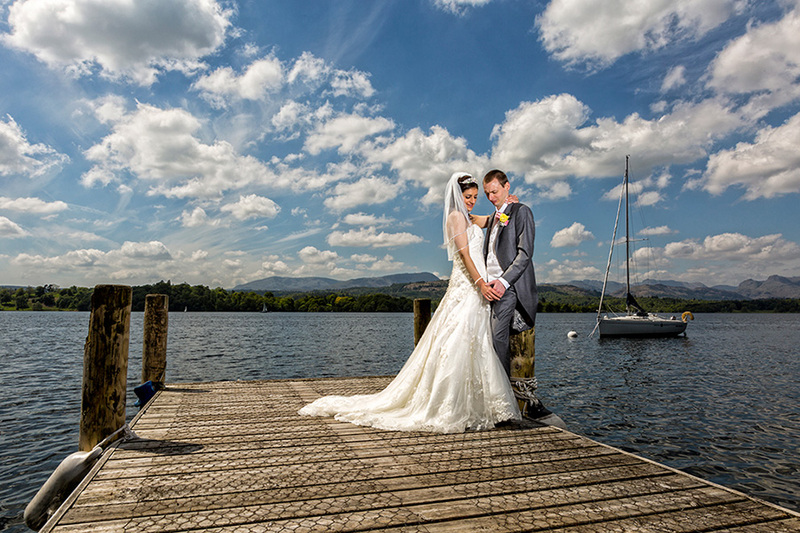 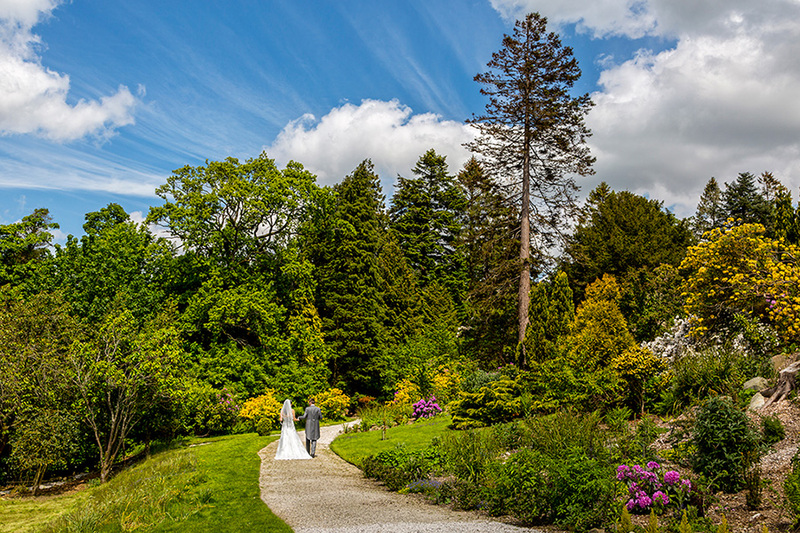 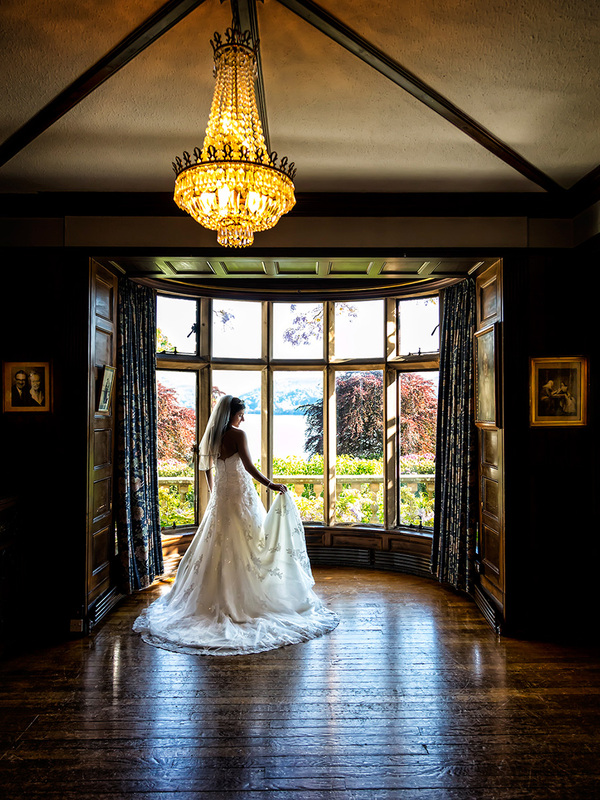 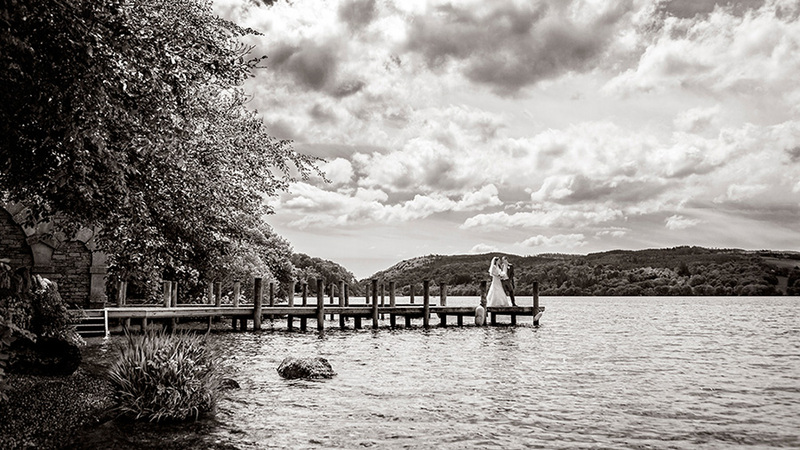 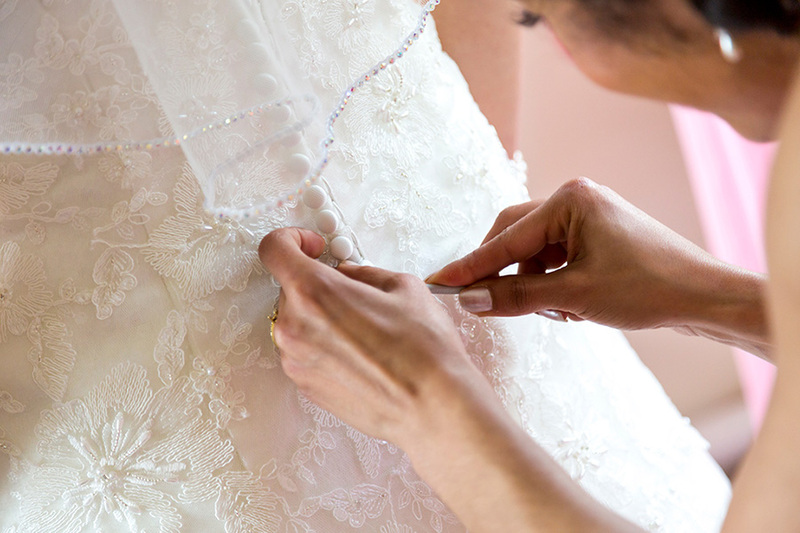 Tarah and Mark got married at the very lovely Langdale Chase Hotel in Windermere. 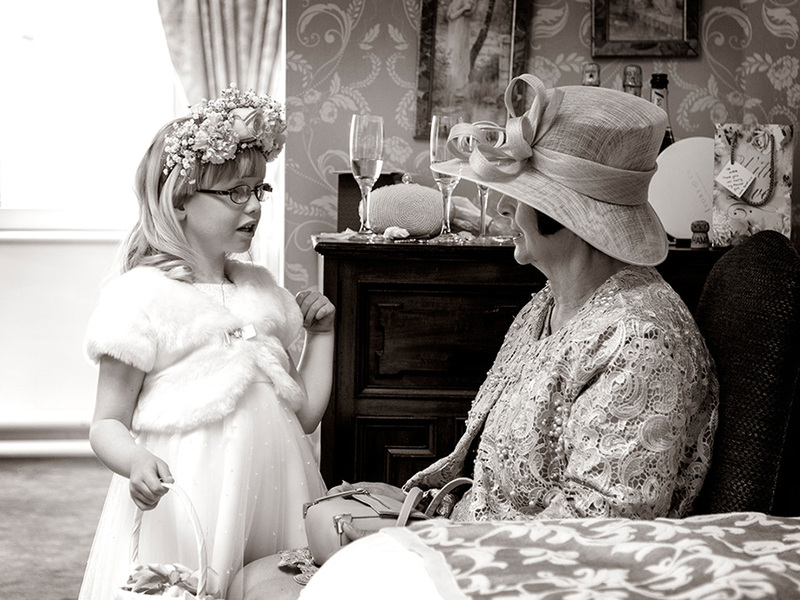 Tarah's room was a beehive of activity when we arrived, full to capacity with bridesmaids and mums. 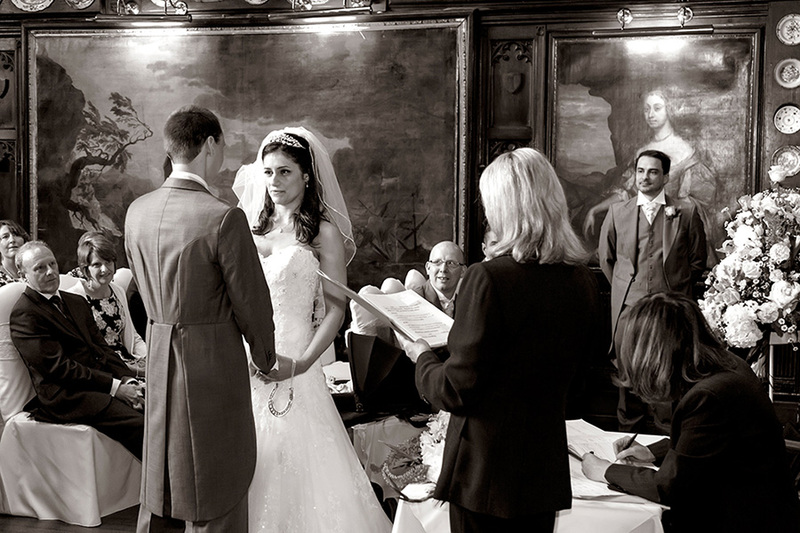 All the maids were ready, so they were able to relax and drink champagne whilst Tarah sat at the big mirror and had hair and makeup completed. 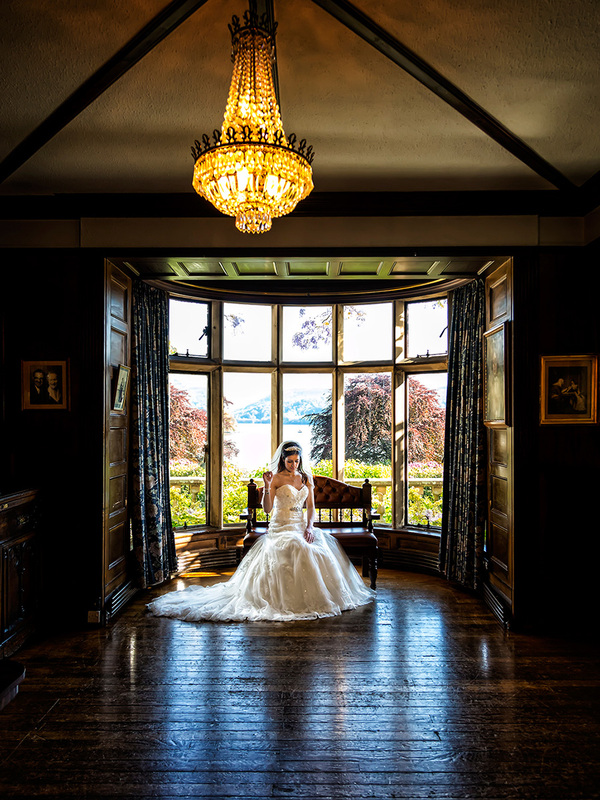 The room was very spacious, and we were able to take all the detail shots in the little turret room. 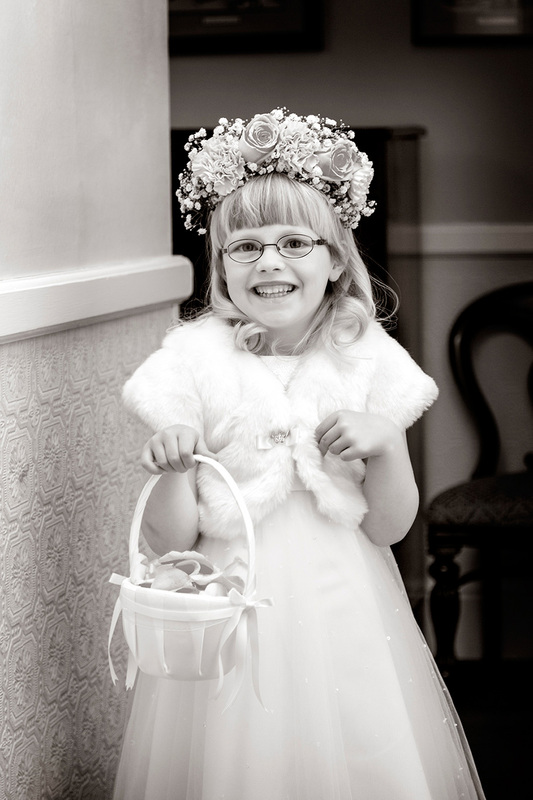 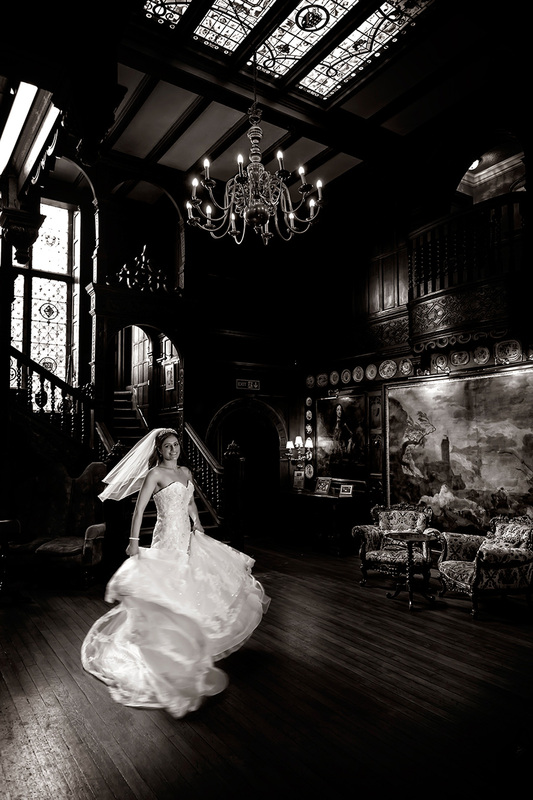 Tarah made her entrance into the ceremony down the large ornate staircase. 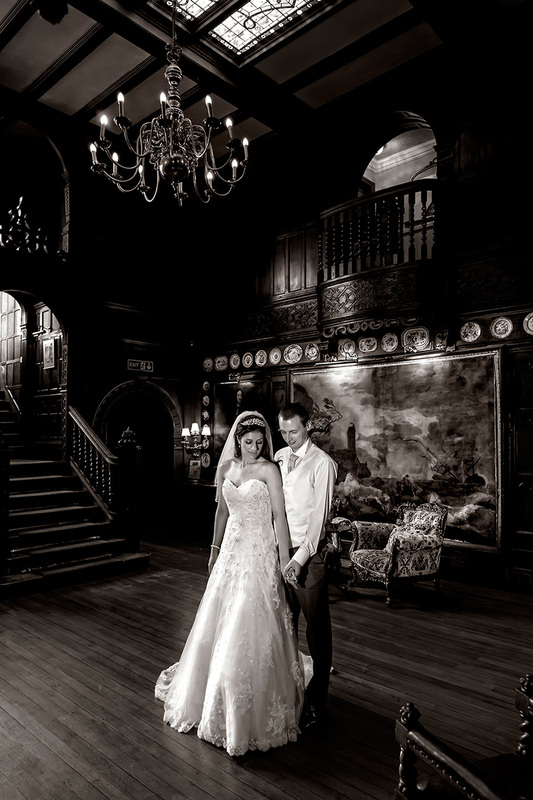 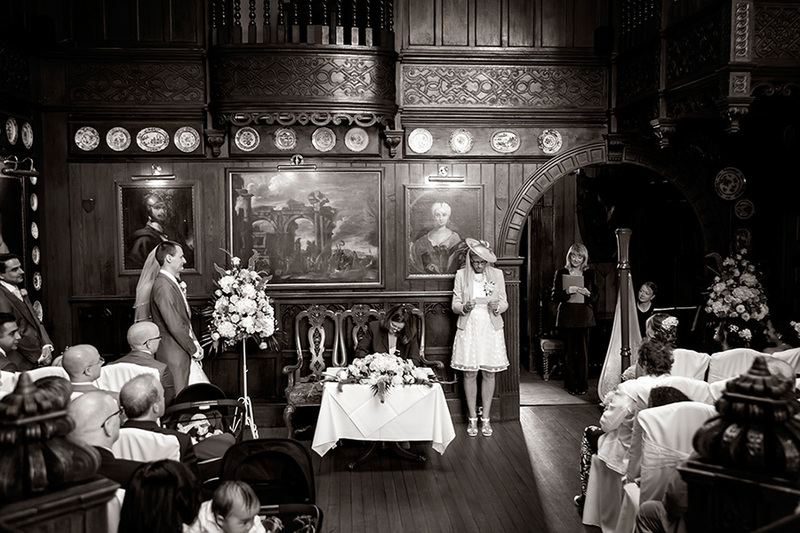 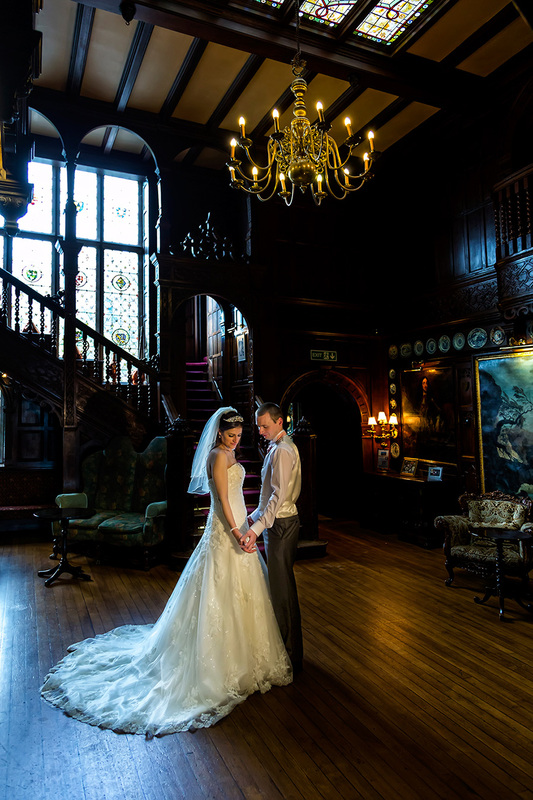 The oak panelled room was lit with just a hint of sunlight from the large stained glass windows. 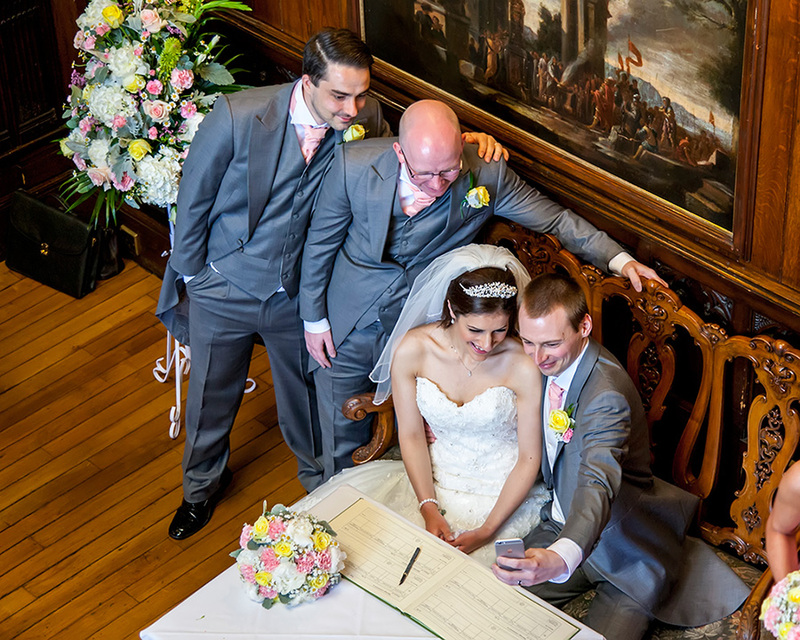 With a balcony running around the whole of the room below we had great views of the bide and groom taking their vows. 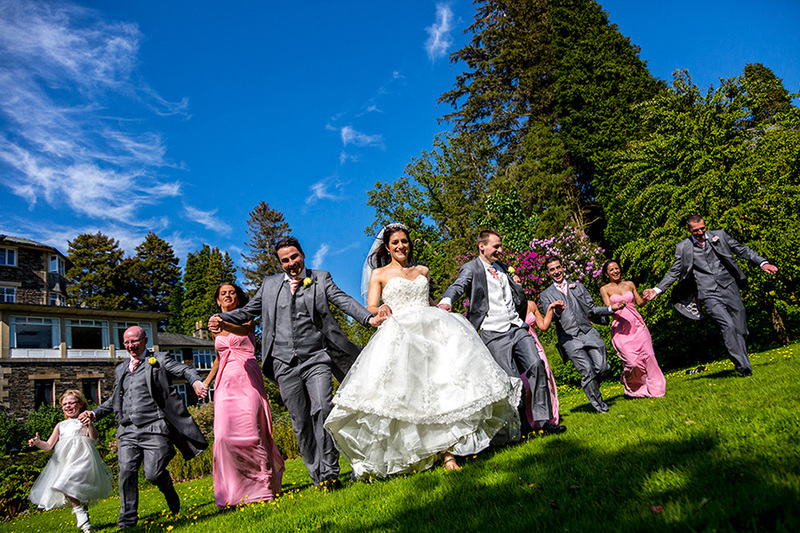 After a lovely ceremony we headed outside to the terrace and down on to the lawn for the group shot, this was followed by champagne and canapés for the guests and we headed off with the happy couple for their personal photography time. 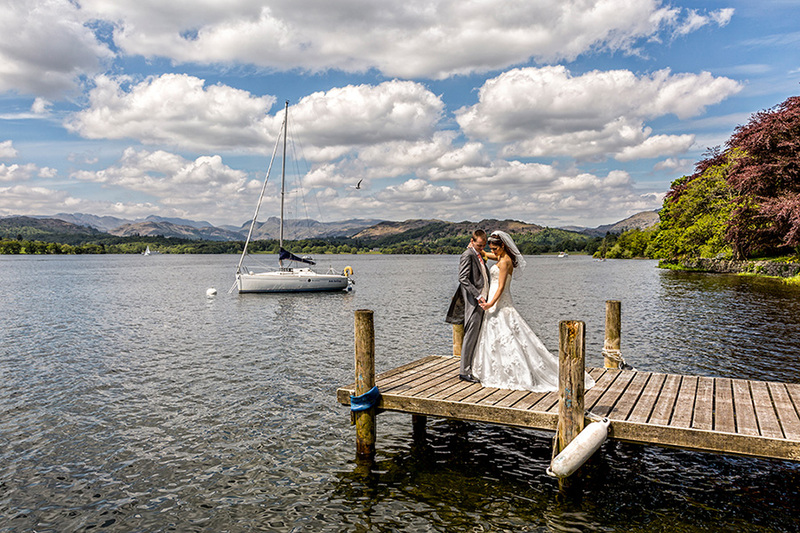 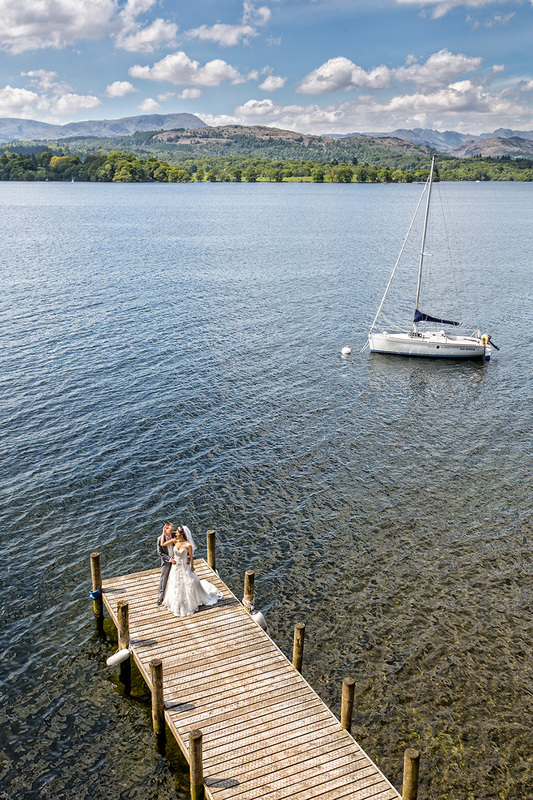 You are spoilt for choice at Langdale for great shots, but one of our favourites is to head down to their private boat jetty. 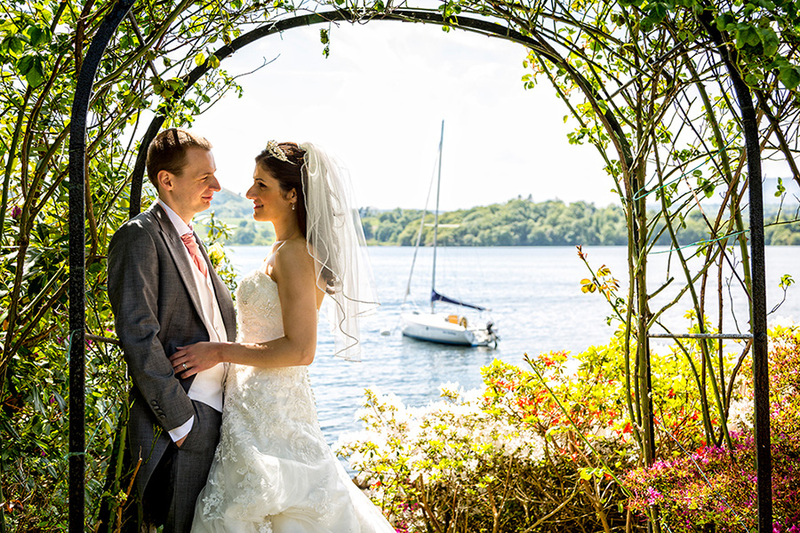 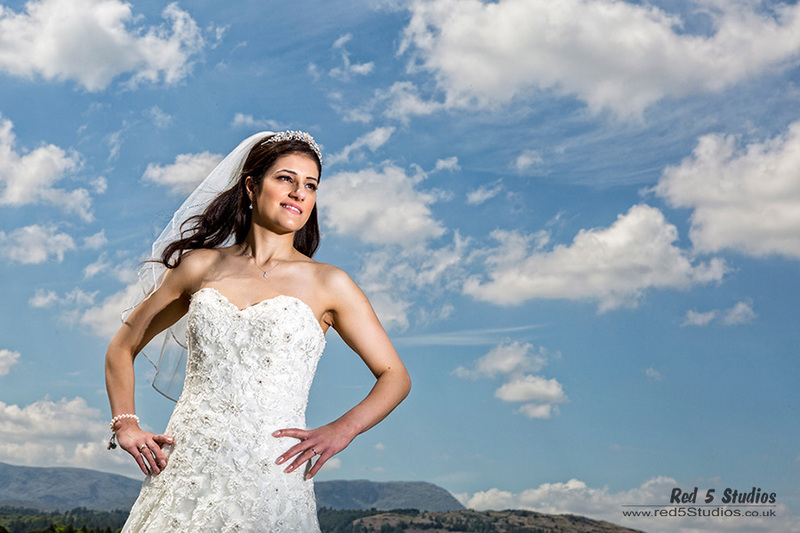 The weather was warm and sunny, and we had plenty of time for photos, so we made full use of the this amazing lakeside setting until it was time for the wedding breakfast to begin. 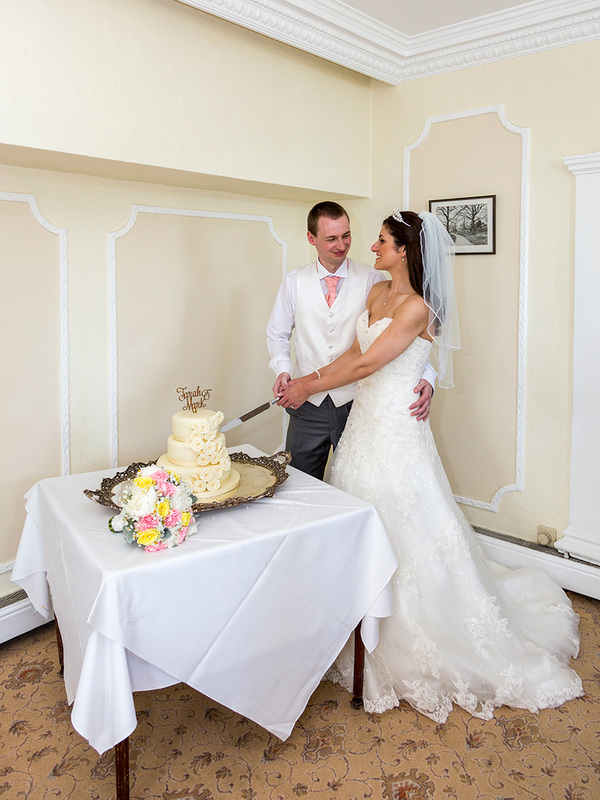 After a lovely meal and some great speech's, it was time to cut the cake, and get ready for the evening celebrations... A big old vintage bus had arrived in the car park... 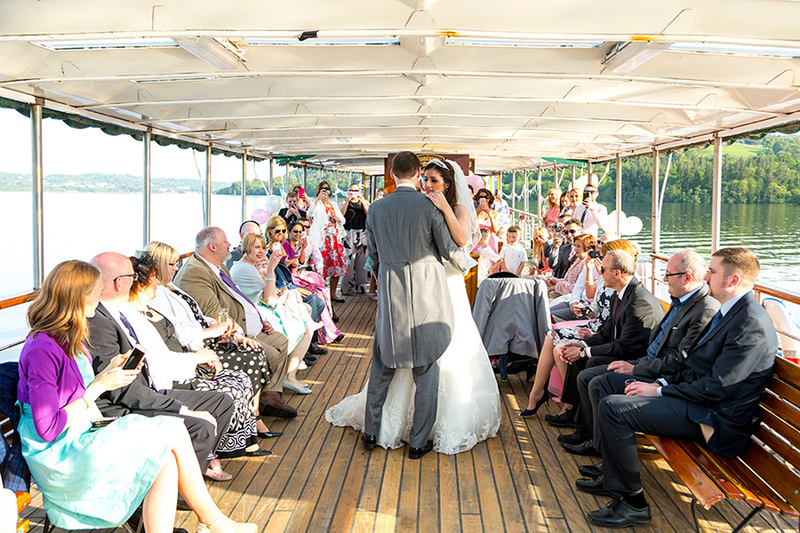 Guests were issued personalised tickets and were asked to board this beauty. 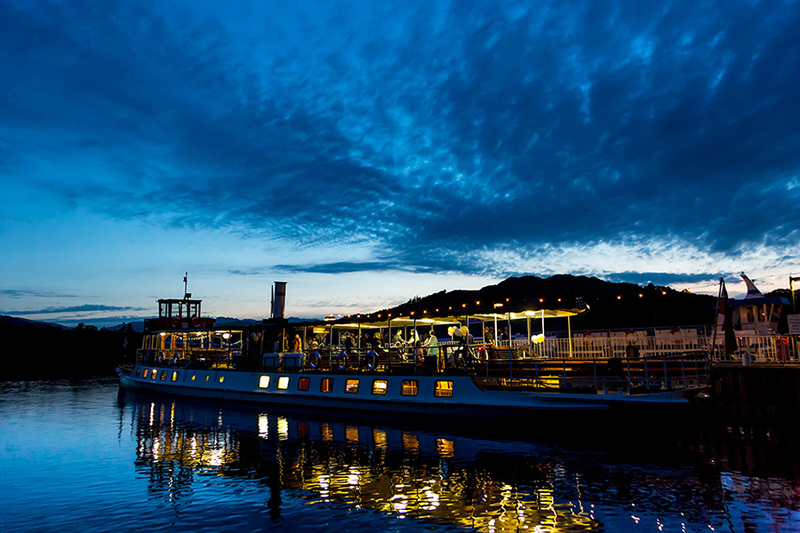 We we headed a couple of minutes up the road to Ambleside, where a fabulously old steamer was waiting to take everyone on a full evening cruise around Lake Windermere. 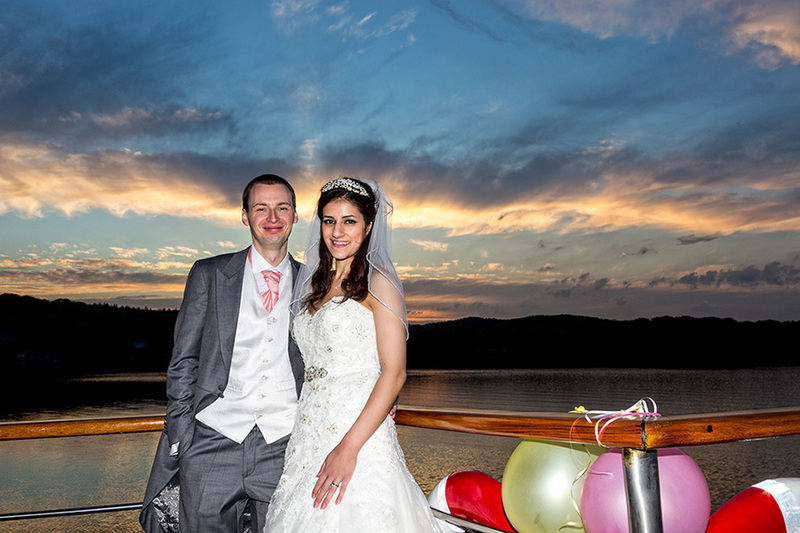 Tarah and Mark had there first dance as we sailed away. 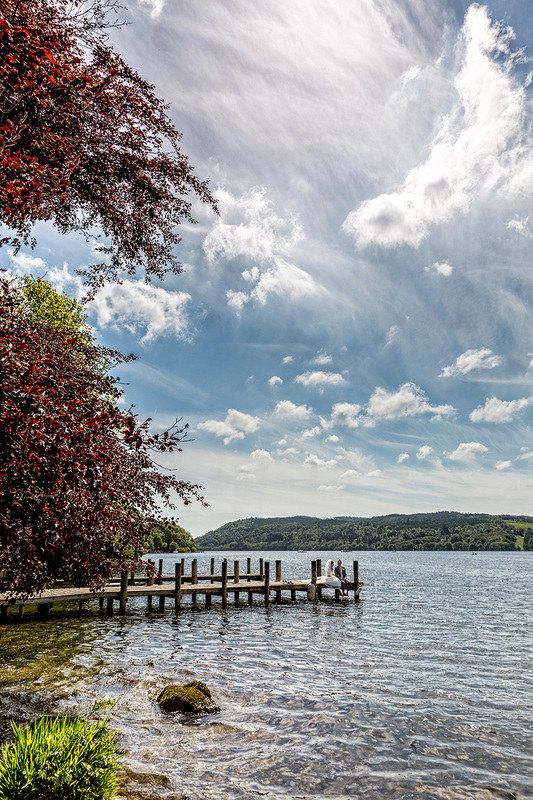 The weather according it to our steamers Skipper was "near perfect" and that not many day in the year are you so lucky to have this an evening like this... 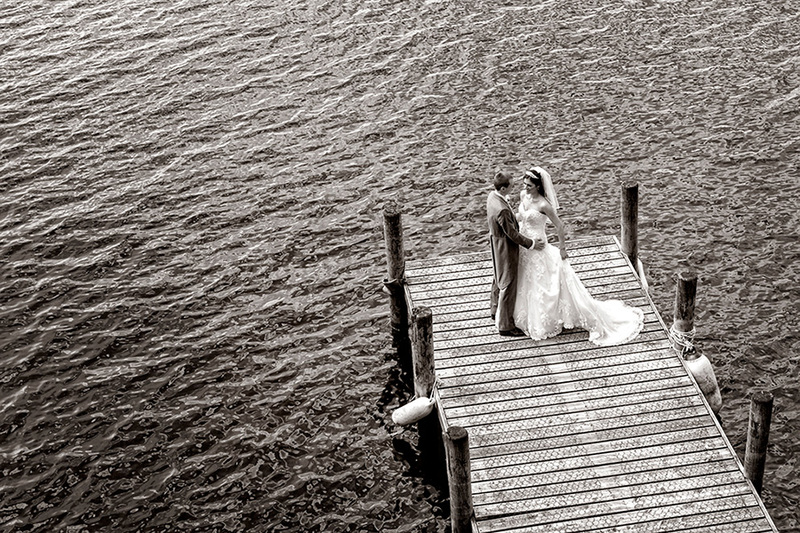 So with the last of the sunshine reflecting on this great lake, it was time to party.... dancing, drinking and barbecue eating. 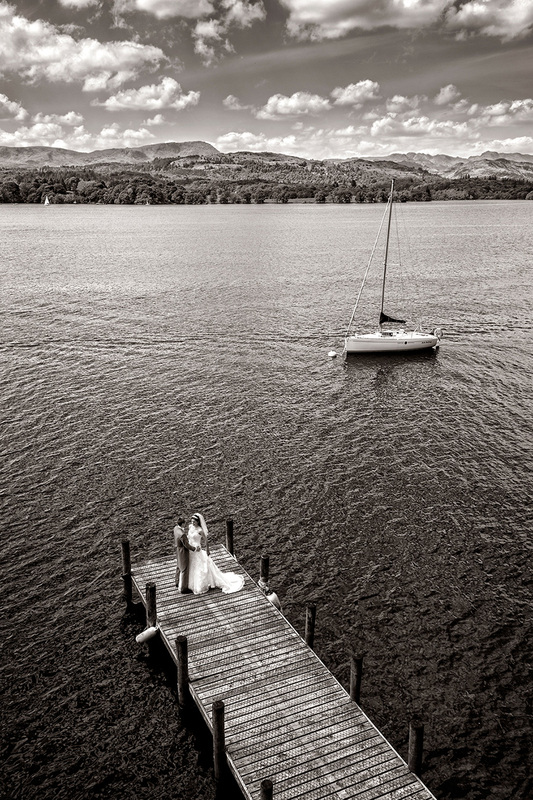 The steamer retuned late in the the evening back to Ambleside. 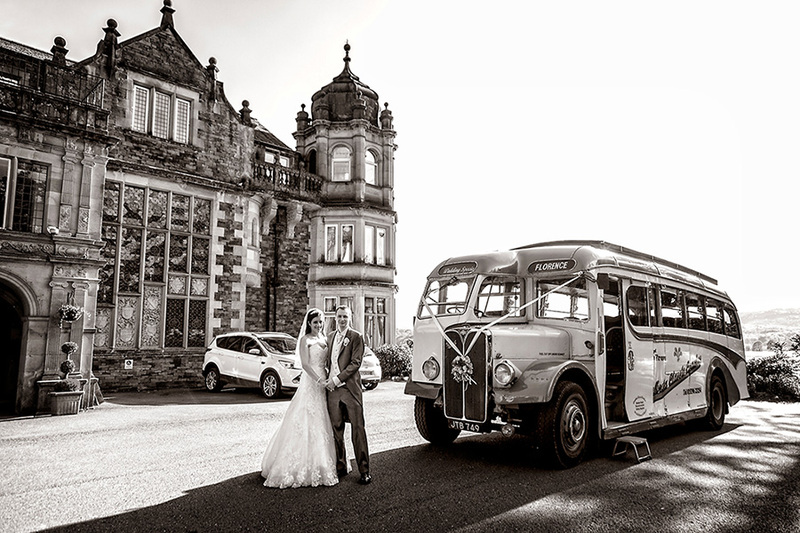 The vintage bus waiting to take the happy passengers back to the hotels... What a great day!! 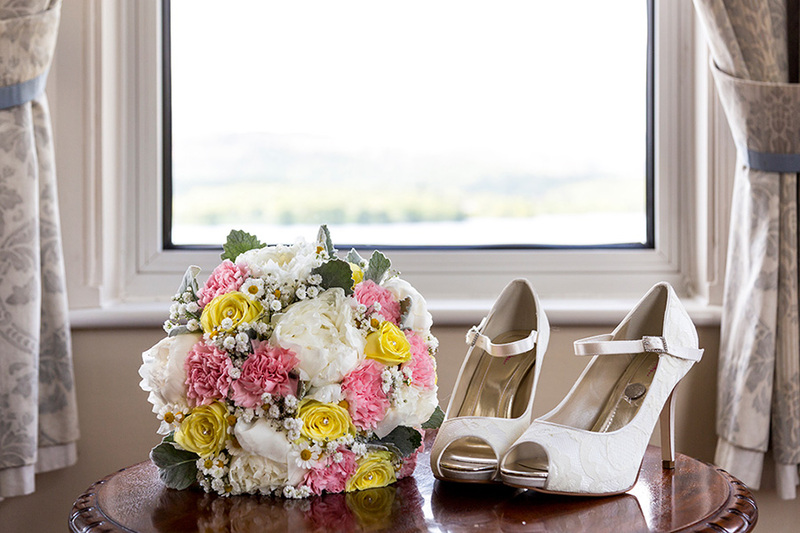 We would like to thank all the staff at the Langdale Chase Hotel for helping to make Tarah & Mark's wedding day perfect, and for looking after us so well.